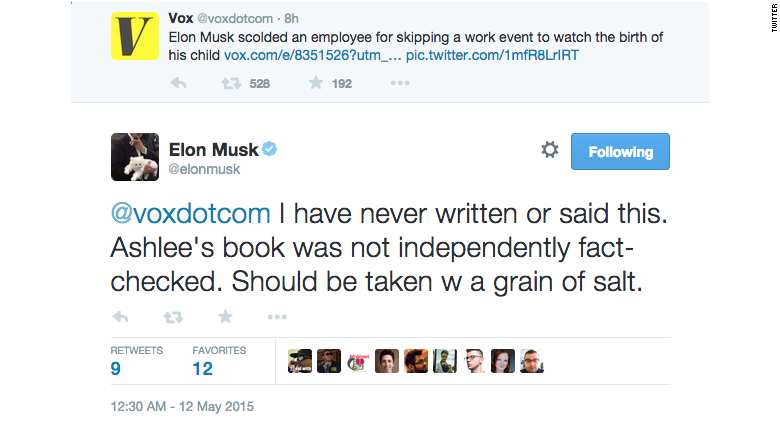 Elon Musk has denied that he once scolded an employee for choosing to attend his child's birth over a company event. The claim -- sourced to an anonymous Tesla employee -- is one of the more explosive charges made by Ashlee Vance in his forthcoming book "Elon Musk: Tesla, SpaceX and the Quest for a Fantastic Future." The book about the Tesla (TSLA) and SpaceX CEO is not yet on sale, but some media outlets have secured copies. 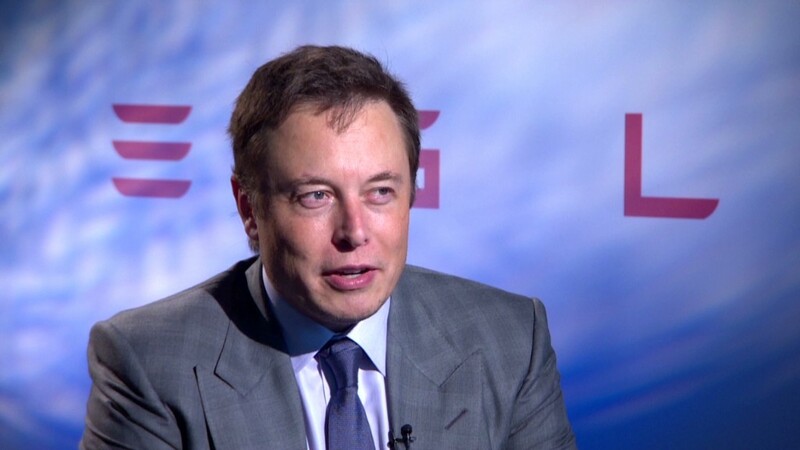 According to the Washington Post, the biography describes a note that Musk once sent to an employee who chose to attend the birth of his child over a work event. "That is no excuse. I am extremely disappointed. You need to figure out where your priorities are. We're changing the world and changing history, and you either commit or you don't," the employee recalled Musk writing in an email. Musk is pushing back against the claim on Twitter, denying such an event took place. "I have never written or said this," Musk said. "It is total BS & hurtful to claim that I told a guy to miss his child's birth just to attend a company meeting. I would never do that." Musk also challenged another quote selected from the book by the Washington Post. "Of 22 quotes ... 2 need correcting: 1. I strongly support pregnancy leave 2. I've never called myself a samurai." Vance, a reporter for Businessweek, issued a short statement to CNNMoney: "I stand by the reporting in the book."